Two pro-Western parties—the People’s Front and the Poroshenko bloc—won the majority of seats. The leaders of the two parties, including current President Petro Poroshenko and Prime Minister Arseniy Yatseniuk, are now engaged in talks to form a coalition government. Following the vote, the International Federation for Human Rights (FIDH) and the Center for Civil Liberties in Ukraine urged the new parliament to enact judicial reforms and ensure accountability for mass human rights violations allegedly committed during the ‘Maidan’ protests and the ongoing conflict in eastern Ukraine, notably by extending ICC jurisdiction in Ukraine and ratifying the ICC Rome Statute. In June, an FIDH delegation met with Ukrainian officials to stress the importance of joining the Court. In July, Ukraine was the focus of the Coalition’s Campaign for Global Justice, whereby the Coalition called on the government to end impunity by joining the ICC. Amnesty International has also called on Ukraine to ratify the Rome Statute following the election of the new parliament. Ukraine formally accepted ICC jurisdiction under Article 12(3) of the Rome Statute in April 2014, but limited the Court’s jurisdiction to include only crimes allegedly committed during the Maidan protests between November 2013 and 22 February 2014. Civil society, including the Coalition, has since maintained that the best course of actionfor Ukraine is to become a full member of the ICC by ratifying the Rome Statute as soon as possible. 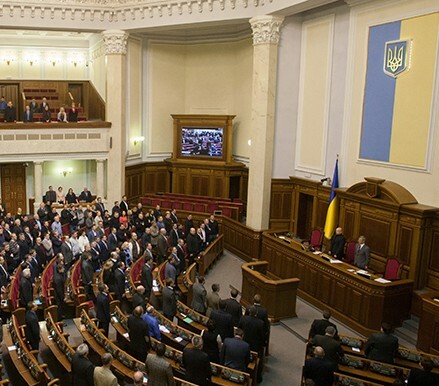 Tell us what you think – Should the new Ukrainian government join the ICC?